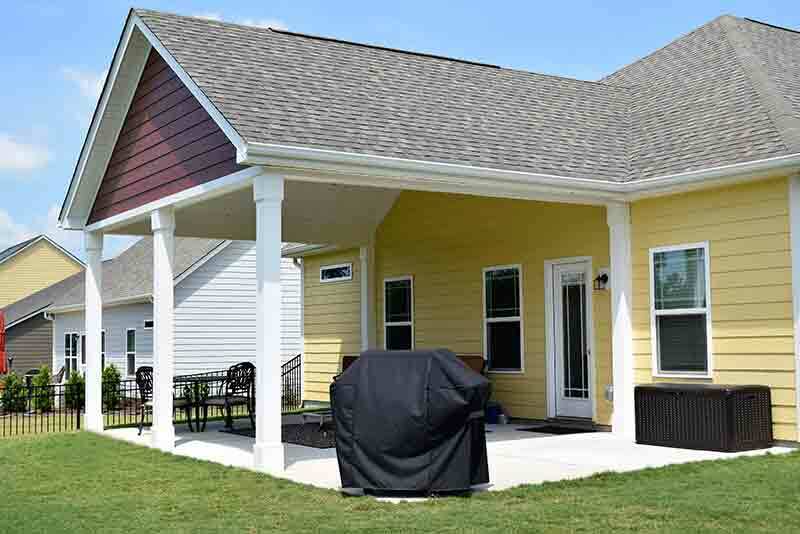 JAG gets another call to help with a backyard with no shade in the NC heat in Denver. 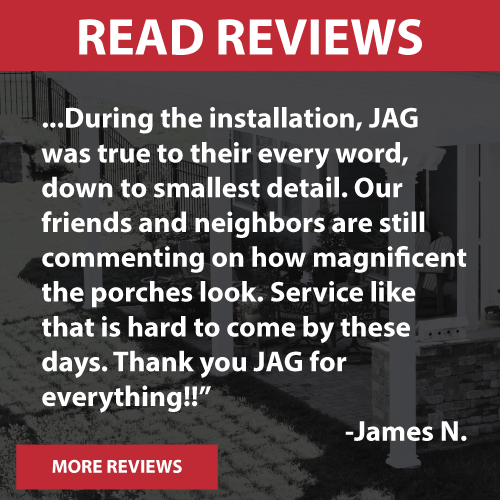 JAG extended the existing concrete patio to increase the porch area and still allow for a small open patio grilling area and also make the porch in the location of the back of the home where the client asked for it. 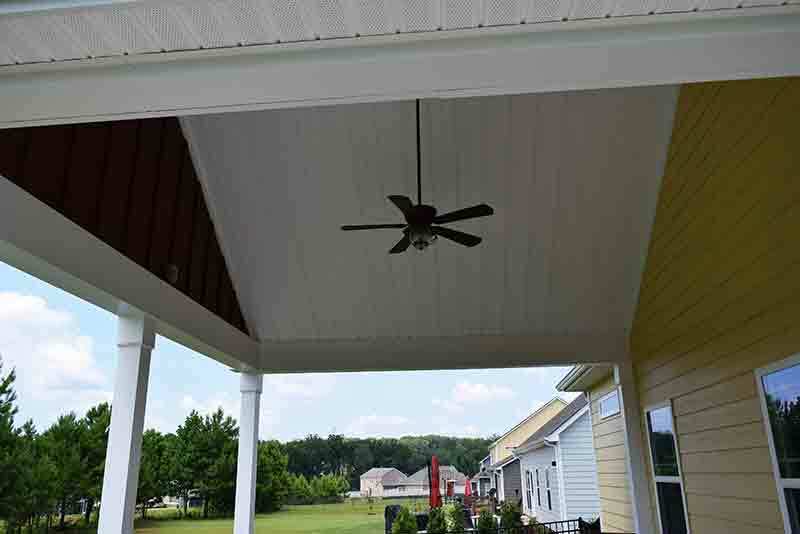 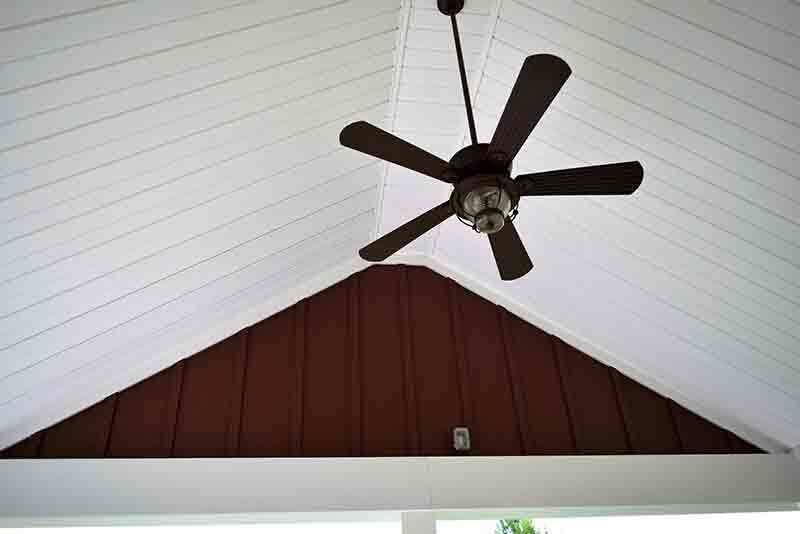 This job included extended the broom finished concrete patio, porch footings, a gable roof porch with a vaulted ceiling with all siding and boxing to match the existing home finished off with a ceiling fan and gutters. 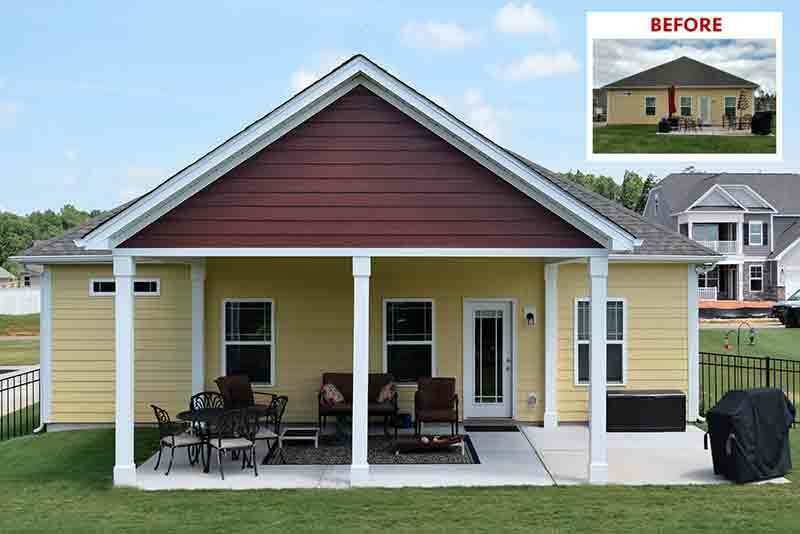 The client asked JAG to paint the exterior siding and inside gable wall in a wine color to match an accent color in the front of the home.